More than 1,200 people are attending the fifth annual Monarch Festival at Eagle Marsh Nature Preserve. 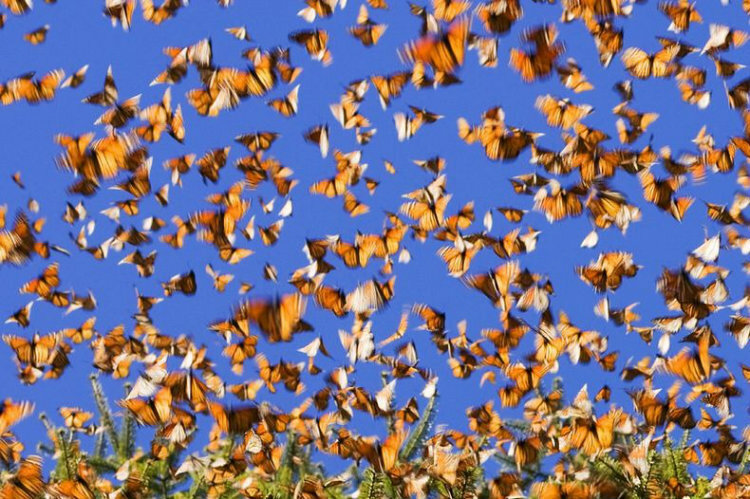 It is in the records that every year, the monarch, an iconic American butterfly with wings of rust and black flies 3,000 miles to Mexico for winter. The butterflies must conduct a fall migration between September and November and gather up in the sanctuaries of the Mariposa Monarca Biosphere. It is only after March when they will begin their journey back to North America and Canada. However, the monarch butterfly commonly known as the pollinator and with all its beauty is under threat. To begin with it is in distress from climate change, monoculture as well as insecticides. Besides, it lacks its conventional feed of milkweed. These challenges have affected the numbers tremendously decreasing them from one billion to 56.6 million since 1997. Betsy Yankowiak works as a volunteer and director of preserves and programs for the Little River Wetlands Project. According to Yankowiak says that there has been a reduction in the number of acres covered by the butterfly in Mexico. Rebecca Riley, an attorney with NRDC, has echoed the decline sentiments citing that it can be linked to the destruction of monarch habitat. A lot of glyphosate use in the farm fields along the Butterfly Highway may have killed the milkweed plants that caterpillars need to endure. As such, Riley says that there is all the need to work on the crisis rather quickly to save on the Monarch butterfly. Apparently there are those who are raising monarchs in aquariums hence they have already taken up the obligation of growing the plant.